Impeccable! A concise and eloquent statement of the case against religion. Woops! This very interesting looking little book was sent to me by the lovely Miketroll and it's been here for a while, but I hadn't gotten around to making a journal entry. You're a darling and I'm so looking forward to reading it. I found this book every bit as interesting as it looked. The logic is flawless. Some people might object to the tone. But Harris makes a good point, and makes it well. I might try to find others interested in reading this, in which case I'll make it into a Bookring. Boekenring! 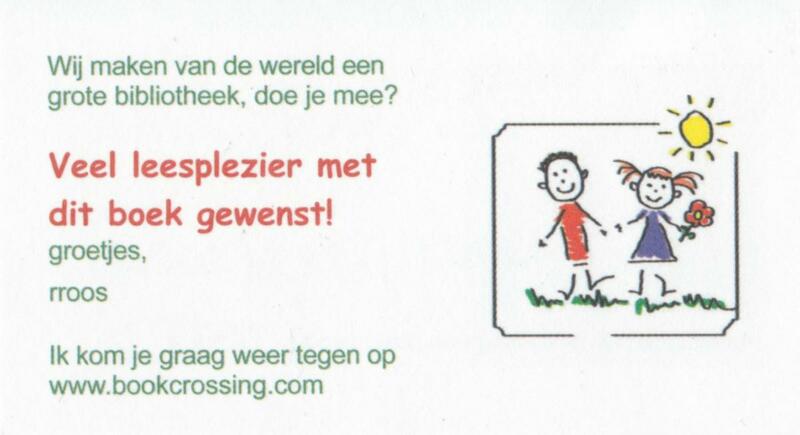 Wie leest er mee? 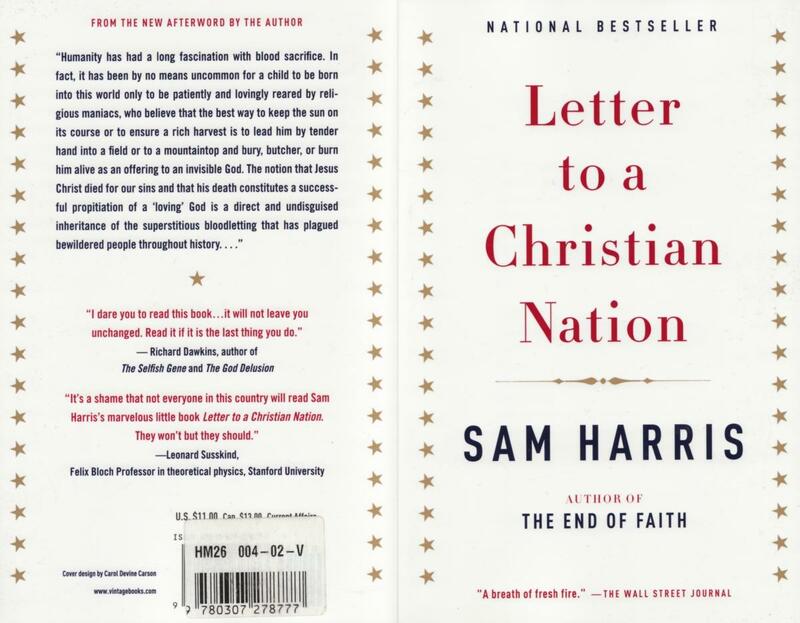 Sam Harris skillfully chips away the foundations of religion. Thanks for sharing the book Moem :) I will hand over the book to Plinius somewhere this week. thanks Gala! I can almost start a mount TBR of ringbooks; this is number 5. One of the monumental ironies of religious discourse can be appreciated in the frequency with which people of faith praise themselves for their humility, while condemning scientists and other non-believers for their intellectual arrogance. I enjoyed this very much: there's good logic, intelligence and humour and intersting links too. Makes good ammunition. The book arrived during my holiday in India, I found it in the mailbox when I got home yesterday. 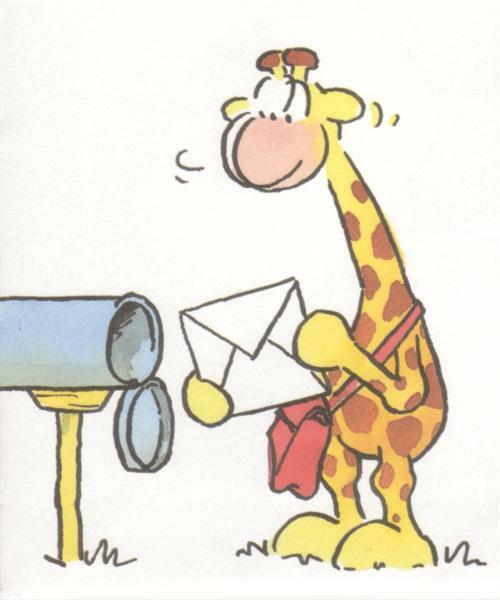 Thank you very much for sending -Nika- and also for your sunny postcard! I'll read the book ASAP. A very, very good book! This book should be on the readinglist of every school. Today the book starts it's journey to belgium. This is a great book! I loved it. It has clarified some things for me and even though Harris and I may disagree on some small subjects, the logic is perfect. I would (and will) recommend this book to anyone! Thanks for the ring Moem. As soon as I recieve her adress I will send the book to Elefteria. And the book is safe in my hands! Thanks Elefteria. I'll start reading right away. 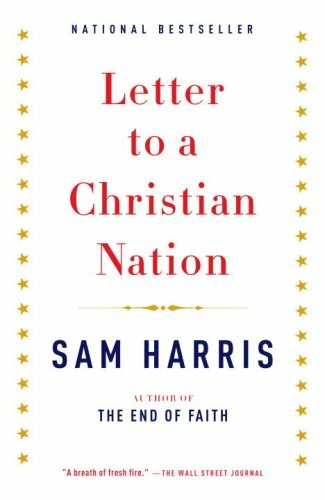 Right now, I'm really curious about the answer of this letter ('Letter from a Christian Nation' or 'Letter to an atheist', amongst others). As I see it, this book is for sure a challenge to faith! However, I really doubt if this letter reaches its intended audience (these 'real, die-hard American Christians'), exceptions aside. This letter will be sent to Cahira this weekend. Thanks for ringing (?) Moem! Vanavond op de post gedaan. Na zessen, dus gaat pas met de lichting van vrijdag mee! I received the book today. I have to finish another ringbook first but I'm looking forward reading this book next. Thanks for sending it to me, Emmeken. I really liked reading this book. Just like Emmeken I had questions and wonderings about faith and religions and the logic in this book is perfect. I find it astounding that so many American Christians don't believe in evolution but do believe everything in the bible, although there is no evidence of that!! It arrived on my doorstep, yesterday. I already believe that Christianity was invented by people, with the aim to support the hierarchy structure and patriarchy of the dominant culture. And look how immensely succesful it has been in that respect. Also I am convinced that people are drawn to religion because of a profound lack of meaning and connection to life. I just found out that the teachings of Christ were completely contradictory to the role the Christian church is and has been playing. An interesting concept. Now, to this book. See what else it has to tell me. This is utterly embarassing. The book is somewhere in my home, but I seem to have forgotten where. I have already cleaned out closets trying to find it. I will give myself one more week, thanks for your patience, ringpeople, and then I will go and get another copy to send on, with the same BX code, so as not to breach the ring list. If I happen upon the original copy, I will erase the BX code and put in a new one.And start on the cobwebs in my head in the meantime. I have sent off three consecutive PM's to bookcrossers who had a copy registered as Available, but to no avail. So, finally I ordered a new copy. It should arrive shortly. I will then send it off to the next reader, I think I have stalled it long enough. So sorry! Finally, a new copy arrived. I numbered it and read it in one go. Off to the next reader on Monday morning. And, I have read enough by Daniel Quinn not to be surprised by this book. Nevertheless I agree completely and I can feel equally infuriated about the devastation brought upon the world by man-made Christianity. I received the book a few days ago, not able to register before, but it has arrived safely! Thanks for ringing, will read it asap! I read this book with great intrest ! I truely hope people take note of this letter because I feel also that religion does more harm than good in this world! i will send a pm to the next in the ring. I received it yesterday, thanx! thanx for sharing this one! I found this book today upon my return from Madeira (ISBN 9780307278777). "While believing strongly, without evidence, is considered a mark of madness or stupidiy in any other area of our lives, faith in God still holds immense prestige in our society." "Another problem with religious moderation is that it represents precisely the sort of thinking that will prevent a rational and nondenominational spirituality from ever emerging in our world." I will take the book with me to Gyralanivos the next time I'm going to Renkum. I'm wondering what is inside of this book. Moem thanks for ringing and dutch-flybabe, thanks for sending this long letter. What do I have to say about this letter? It was quite disappointing for me, that the writer took the extreme christians as example for all the christians and used cherry-picking of some phrases of the bible to prove his points. I agree with the writer, that when you are mixing politics and religion it'll lead to trouble. And in the USA the influence of some extreme religious parties on the political parties is huge. This book is brought home today. And the book has returned (sort of), after quite a rocky journey. It's been some trip! Thank you,participants, and thank you again, Miketroll. I will re-read the book before it travels on. Skimmed the book this time, but it's still as good as I remember it being. I will release it in our local hackerspace, where scepsis and rational thinking are always welcome.